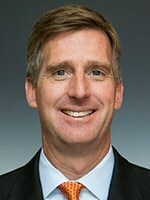 It will be two years ago next month that University of Minnesota president Eric Kaler hired Mark Coyle away from Syracuse to be the Golden Gophers Athletic Director. During his time at Minnesota Coyle has hired several new coaches including in the high profile sports of football, men’s hockey and women’s basketball. The latest appointment is that of Lindsay Whalen to head the women’s basketball program, even though she has no previous coaching experience. Earlier this spring Coyle hired Bob Motzko as men’s hockey coach and in January of 2017 selected P.J. Fleck to lead the football team. It’s evident that when Coyle considers staff hires he places an emphasis on coaches with high potential to recruit skilled student-athletes. Coyle does so with good reason because there’s no doubt football and men’s hockey are significant businesses at the U, and women’s basketball could some day become the first women’s program in the Athletic Department to be profitable. Coyle knows without talented recruits the Gophers can’t dream of and chase championships in the high profile and revenue producing sports that also includes his men’s basketball program. “No mule ever won the Kentucky Derby,” former Gopher national championship football coach Murray Warmath used to say about the importance of talent. Whalen, 35, is young enough to relate to high school players and has the platform of still playing for the WNBA champion Lynx. As a recruiter, the competitive Whalen should be able to get into living rooms and make recruiting pitches to outstanding prospects that her U coaching predecessors could only fantasize about. The Whalen resume sparkles with accomplishments including leading the Gophers as a player to the 2004 women’s Final Four and becoming one of the WNBA’s best point guards and consistent winners. It’s this kind of background that has Minnesotans enthralled and intrigued by what awaits the Gopher women’s program. Among those watching is Jerry Noyce, the former Big Ten championship Gopher tennis coach and Minneapolis area business leader, and a man whose name was pushed at least twice to become Minnesota’s athletic director including as successor to the infamous Norwood Teague who resigned in 2015. With the 37-year-old Fleck—the second youngest head coach in college football—Coyle has a skilled recruiter at using social media and TV to build awareness of himself and his program. Fleck understands the culture and speaks the language of teenagers. Coyle knew that when he hired the energetic coach away from Western Michigan where his success prompted reviews from the New York Times and Sports Illustrated. In late December Fleck announced his 2018 recruiting class, the first group he and his staff had almost a full year to target. The Gophers publicists called the 2018 class the highest ranked ever for Minnesota in the Internet era. At 57, Motzko is old enough to be Fleck’s, or Whalen’s dad. That doesn’t mean he isn’t expected to recruit with passion and bring blue chip players to Dinkytown. Motzko spent 13 seasons building St. Cloud State into a nationally prominent program and along the way developed recruiting savvy and relationships including with state of Minnesota prep coaches. Gopher hockey is tradition-rich and the state is loaded with talented high schoolers, but Minnesota hasn’t won a national title since 2003. This year the Gophers didn’t even qualify for the NCAA Tournament. Coyle and everyone else knows Minnesota can do much better. If Coyle is spot-on in his coaching hires of Motzko, Whalen and Fleck, the Gophers are on their way to better days on the ice, court and field because of upgrades in their athletes. Just speculation but it might be the only way five-star basketball recruit Matthew Hurt from Rochester John Marshall will end up as a Gopher in 2019 is if Minnesota coach Richard Pitino could convince Hurt’s father, Richard, to join his staff as an assistant coach. Richard has been active in high school and AAU coaching for years, and also groomed his son Michael, a Gopher junior next season. Pitino has a staff opening with the departure of another Minnesota native, Ben Johnson to Xavier. Look for the Timberwolves to alternate Jimmy Butler, Andrew Wiggins and perhaps others in guarding James Harden tonight. The Wolves, in the postseason for the first time since 2004, open the playoffs in Houston against a Rockets team with the NBA’s best regular season record, and led by Harden who averages over 30 points per game and is a favorite for the MVP Award. For the season, the Wolves had a 2.6 average household rating on Fox Sports, a 78 percent increase in viewership over 2016-2017, and the highest since 2011-12. The Gophers, 5-7 last year, open their season August 30 at home against New Mexico State. The U won’t have the Vikings playing their final preseason game a couple of miles away at U.S. Bank Stadium, as happened in 2017 for the Gophers’ first game. The Vikings will be at Tennessee on August 30 as they close their exhibition season. Maybe a planner in the Twins’ promotional department was clairvoyant about this spring’s wintry start. Yesterday’s snowstorm cancelled Minnesota’s home game with the White Sox where the first 10,000 fans in attendance were to receive a free Plaid Flap Cap. The Gopher Big Ten champion baseball teams of 1968-69-70 will have a reunion on May 11-12 with social gatherings planned. Players from those teams will be introduced before the May 12 home game against Michigan State at Siebert Field. Gregg Wong, who was the public address announcer and official scorer for the teams, and Stew Thornley, the bat boy years ago, have also been invited to participate in the celebration. Minnesota hockey legend Neal Broten will sign memorabilia including hockey cards and sticks (for various fees) on Saturday from noon to 2 p.m. as part of the Triple Crown Sports Collectibles show at Southtown Center in Bloomington. Show hours are 10 a.m. to 5 p.m.
Tickets are available for the August 2 Camden’s Concert at the Hopkins Center for the Arts. Jimmy Fortune, the former tenor of the Statler Brothers, is the guest artist for the Cystic Fibrosis Foundation benefit named after Dave and Linda Mona’s grandson. The previous eight concerts raised almost $500,000, according to the Facebook page for Camden’s Concert.